Have you seen this taupe-colored tote bag? The chain detail on the strap gives it a super-feminine touch. It’s one of a kind. 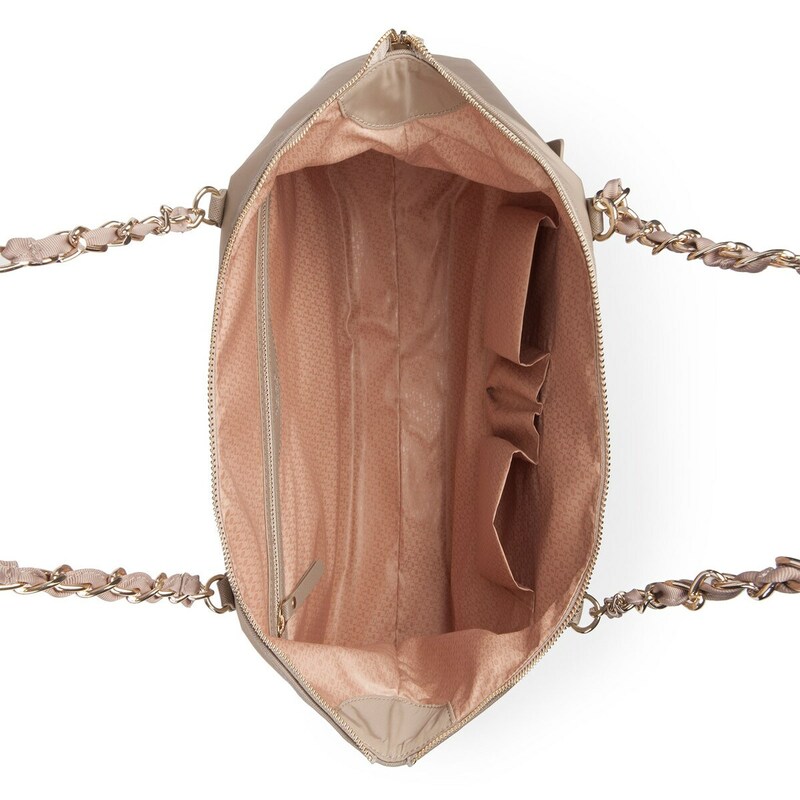 TOUS Brunock Chain collection bag Marotta model in taupe nylon. Zipper closure. One exterior compartment with zipper closure. Measurements: 31cm x 36cm x 14cm.